SAVANNAH, Georgia, May 28, 2018 — Gulfstream Aerospace Corp. today announced it will expand its maintenance, repair and overhaul (MRO) operation in the London area with a new, larger, purpose-built facility at TAG Farnborough Airport. The Farnborough service center is expected to be operational by the third quarter of 2020. 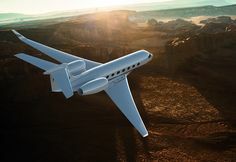 The company is committed to remaining in the London area, which has the highest volume of Gulfstream traffic in Europe. London is home to the company’s European Parts Distribution Center near Heathrow Airport and Sales and Design Center in Mayfair. Gulfstream has more than 225 aircraft based in Europe, along with 180 in the Middle East and Africa. Gulfstream’s new MRO is projected to be approximately 180,000 to 220,000 square feet/16,723 to 20,439 square meters. This includes office space, customer areas, shop space and a hangar that can accommodate up to 13 large-cabin aircraft. Significant ramp space will also be included, along with an automobile parking area. Gulfstream’s existing MRO at London Luton Airport, which comprises more than 85,000 sq ft/ 7,897 sq m of hangar, office and parts warehouse space, has seen a significant increase in on-site traffic and road trips for several years. The site has grown to more than 250 employees. All of Gulfstream’s current capabilities at Luton, which include maintenance authorizations from the U.S. Federal Aviation Administration, European Aviation Safety Agency and more than 20 other civil aviation authorities, will be replicated at Farnborough.